The Webster Groves School District is constructing a large building addition onto their high school that proved opportune for an innovative civil design implementation by Clayton Engineering. 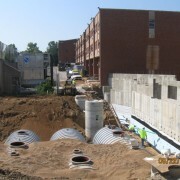 Slated to be completed in late 2012, the first known large scale rainwater harvesting system in the St. Louis area has been designed, approved, and installed, through a collaborative effort by The Clayton Engineering Company and the Webster Groves High School project plumbing engineer, John Muschong,P.E. Due to the small site area, the underground rainwater harvesting system fit the school district’s goals for green solutions perfectly. 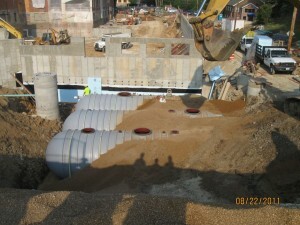 The St. Louis Metropolitan Sewer District (MSD) observes and maintains public sewer systems in the metropolitan area. Funding for MSD is provided through storm and sanitary sewer bills. 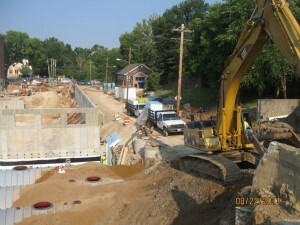 MSD oversees and inspects new construction of public storm and sanitary sewers. With this particular BMP (Best Management Practice) design, no guidelines or design specifications were in place at the time. 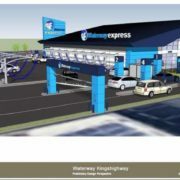 MSD observed the entire process so each detail could be used for future review and design guidelines. The design of the rainwater harvesting system directly reflects the water quality treatment characteristics and environmental sustainability national agencies require. For more advanced applications that include treatment for purification during periods of scarce rain and moisture accumulation when the harvesting system could be converted to normal water use. The Webster Groves High School system includes a design for irrigation harvesting treatment and reuse on and around the property for irrigation systems. This system goes beyond the traditional water harvesting in that it captures more than just roof runoff. 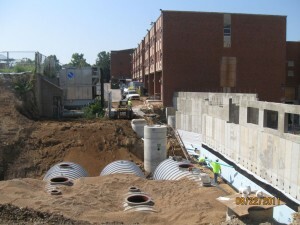 This approach was used to satisfy MSD requirements for water quality and runoff reduction for this project. The storm water is collected from the roof and around the school property through a series of traditional collection methods. Once the water is collected, it is directed into the Hydrodynamic Separator (HDS) unit, which acts as a the Pre-Treatment, or “flow-through structure with a settling or separation unit to remove sediments and other pollutants (as defined by EPA fact sheet 832-F-99-017)”. The water harvesting system is considered a main water quality device at the school by including a decanting process as a function of its design. Decanting is the process of separating water from oils, chemicals or other sludges/ sediments that have accumulated during the runoff process. This is a necessary process for the re-use of rainwater to keep pumps and downstream systems working properly. Also, it is the second filtration process in this particular rainwater harvesting system since it will be used for a higher volume than an ordinary harvesting system-even more so than other commercial applications. The decanting process is achieved through a series of tanks where the water is internally “treated” then the sediments that precipitate to the bottom are regularly removed during normal maintenance procedures while the newly filtered water is pumped out of the tanks for use as needed. During the winter months, the water harvesting system will be used to pump the treated storm water back into the storm sewer systems since the upstream HDS unit will have already pre-treated the runoff. The system is fully functional year round. 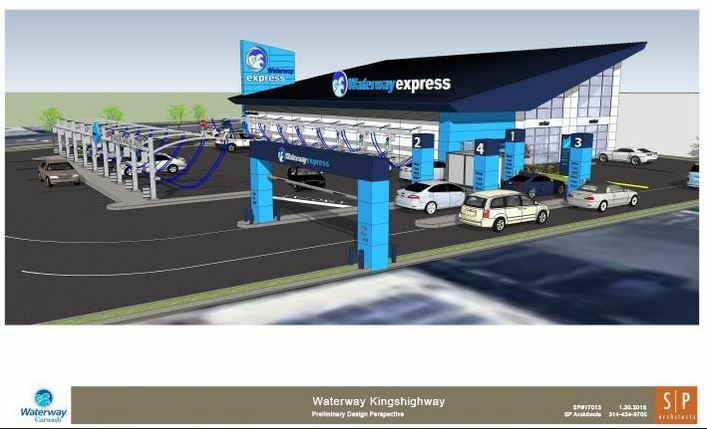 With the design and implementation of this new system, The Clayton Engineering Company has maintained the civil engineering and design edge that’s needed to advance in the modern world. We ask that you please consider the world around you while planning your next major project, commercial development or even home upgrade and consider us as your personal design professionals. As you may know, the Americans with Disabilties Act (ADA) was signed into law on July 26, 1990. The ADA has been credited with removing barriers for millions of disabled people, allowing them access to jobs and public buildings. When enacted into law however, Congress did not assign regulators to enforce the law, therefore leaving an explosion of private ADA litigation. Many have called the recent litigation ‘drive-by lawsuits’, using handheld GPS equipment to determine, for example, accessible slopes. The St. Louis area is not immune to the widespread litigation affecting many private property and business owners. In fact, one recent lawsuit against a national convenient store chain was settled for $1.5 million in compensatory damages in an effort to make it’s stores accessible. Local business owners may be unaware that their stores are non-compliant due to new recent amendments published in the federal register on September 15, 2010. The new guidelines layout the scoping and technical requirements for new construction and alterations and are available online at www.ada.gov. Further, standards for state and local government differ from those of the public and commercial facilities. The new guidelines will take affect March 15, 2012 and may have a direct impact in compliance of existing facilities as well as design of new developments. While many business owners believe their buildings were grandfathered in prior to the 1990 regulations, this may not be the case and you could possibly be subject to the 2010 guidelines. While some of the new guidelines pertain to interior building space, many of the regulations will affect your site. 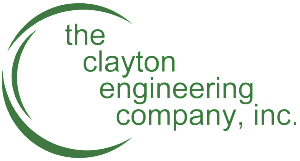 As your professional engineer, Clayton Engineering can guide you through the maze of technical documentation as well as determine if your existing site will be in compliance with the new amendment. Clayton Engineering has developed a comprehensive team of professionals to provide you with a solution to these issues and help you avoid a potential lawsuit. We have the capability to work with local architects for interior building space as well as site solutions. 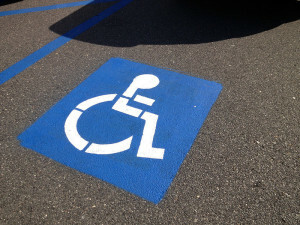 Many business owners look at ADA regulations as just a building code, while in reality it is actually a civil rights law. There are substantial differences between building codes and the Department of Justice’s ADA requirements. 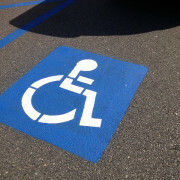 A design plan receiving city approval may not necessarily be in compliance with ADA regulations. This lack of design strategy could ultimately lead to a federal lawsuit. As your design professional, we will help you avoid these possible lawsuits and be happy to answer any questions you may have about the process. The Clayton Engineering Company located in St. Louis, MO began this year with a new equipment purchase for our field crews. This tablet is the very latest product to be released by Trimble and is without a doubt, the most advanced field surveying technology available on the market. 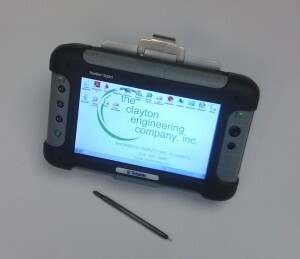 The Trimble Rugged Tablet PC is a Survey data collector, a powerful tablet computer, GPS receiver and a lot more. Clayton Engineering, with the guidance and support from Seiler Instrument Company here in St. Louis was able to add this piece of field equipment to our arsenal of already “tough” technology. The addition of the Trimble Tablet this year was not an easy decision, as with any new equipment purchase. Over the last ten years, this industry has been introduced to an ever increasing number of available field and office hardware, software and all around technological advances. We have always had a good history with Trimble’s products, Geodimeter and Spectra before and even before that, K&E, Wild and Berger. With nearly a century of productive history here in the St. Louis area, this company has had plenty of opportunities to test civil engineering and land surveying hardware and software for their versatility, durability and functionality. A history like this reflects a pattern of manufacturers and distributors, types of equipment and software that have consistently produced excellent products catered exactly to the needs of a company like Clayton Engineering. In this instance, although several other items were researched and even test driven extensively, the Trimble Rugged Tablet PC is the only new piece of field equipment that more than exceeds all of the requirements we were looking for. One major deciding factor was the tablet’s capability to work with all of our old and even some out-dated instruments while still promising streamlined performance with current and future field equipment. The tablet is an extremely powerful computer by office standards, let alone in the field. It runs a Windows 7 operating system, capable of handling multiple programs at the same time like AutoCAD, Trimble Access and Internet Explorer with hardly any lag or slow-down time. The tablet’s hard drive is solid state (like an SD card), providing for a near zero read-time from application to application. The expansion bays provide for additional feature options like a cell-modem for non-stop net connections, like the one we frequently use in conjunction with the MODOT RTK-Network. With the SD slot, dual USB slots, IO plug, on-board GPS, headphone and microphone jacks and all of the other features mentioned, this field computer is much more than survey data collector. 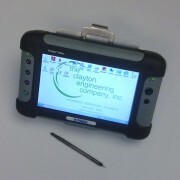 It is the toughest and most rugged tablet PC currently on the market. It’s water resistant, durable enough for daily use on a construction site, temperature resistant to extremes in both directions and the 7”LCD screen is extremely user friendly for regular and irregular surveying, under any conditions. 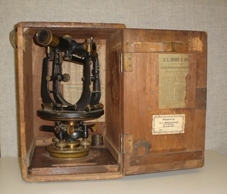 Prior to this, Clayton Engineering used the Trimble ACUs with Survey Controller software. Thankfully, with Trimble Access there is virtually no learning curve for the crews. 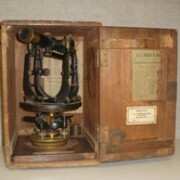 They were able to use the tablet for all types of surveying almost immediately. Trimble Access is the evolved version of Survey Controller and much more powerful while easier to use in the field. The tablet works great in conjunction with all of our in-house proprietary software as well. All of the new features, and the quickness of the processing only meant that there are easier and faster ways to do complete the necessary tasks. Also, like the previous Trimble collectors, she talks to you! 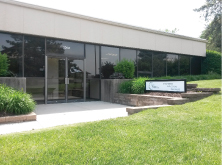 Seiler Instruments has again provided The Clayton Engineering Company with the opportunity to be the frontrunner in the field crew technology area of land surveying and civil engineering. The company’s long standing history has proven that with the industry’s newest most cutting edge technology in our hands, we can maintain a very strong competitive advantage and provide the most accurate, precise and efficient final product for every one of our clients.